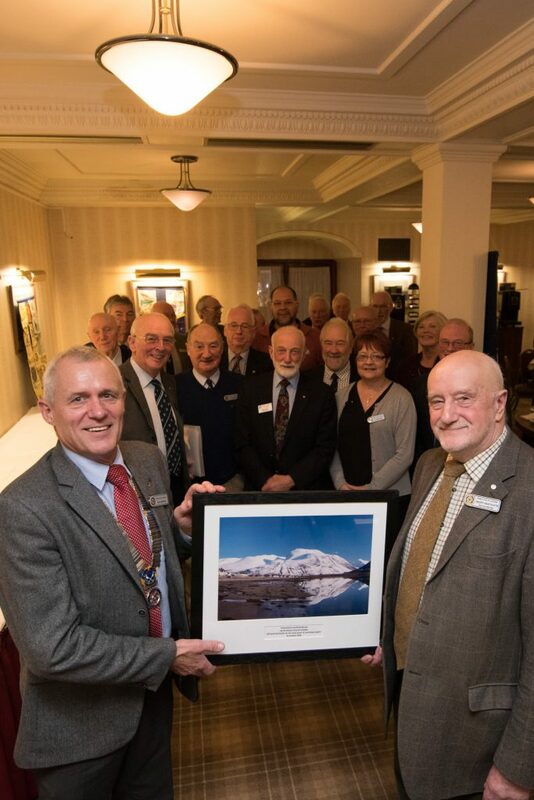 The Rotary Club of Lochaber’s business lunch meeting on 31 October saw Club Secretary Geoff Heathcote’s last appearance at the Club after seven years of very active membership. Originally from Chesterfield, Geoff and his wife Jenny arrived in Lochaber fourteen years ago to spend their retirement years in this idyllic west highland location – buying a house in the little township of Muirshearlich with its countryside location and panoramic views of the Ben . However, Geoff, who was retiring after 35 years working in earth moving machinery and plant management, was soon managing the local branch of Crossroads Care before moving to run the Deaf Care Unit, a position that he held for 4 years. 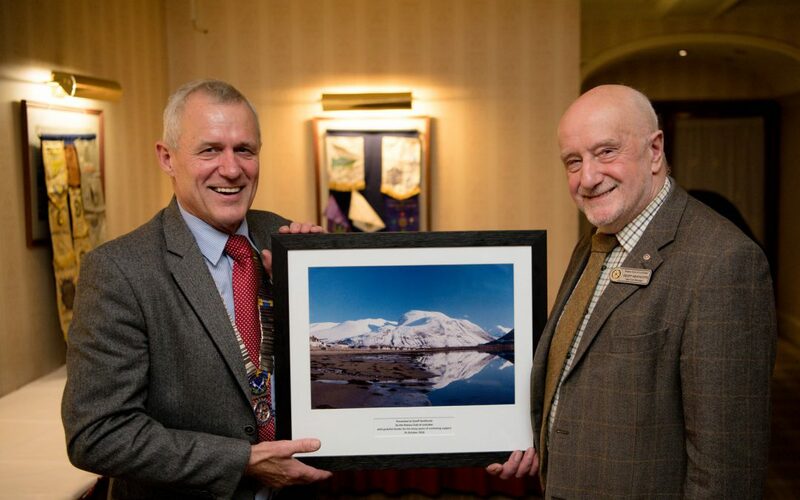 Geoff joined the Lochaber Rotary Club in January 2012 (on Burns Night!) and quickly became the club secretary, a role at which he excelled – often described as the key post in an active and successful club. Geoff’s wife Jenny has been unwell for some years and they are moving to be nearer to his son and daughter and their spouses who are keen to help them. They will live in the village of Kirk Langley in South Derbyshire and it is likely that Geoff will transfer to the nearby Rotary Club of Ashbourne. Club members responded with warm applause before saying their one-to-one goodbyes to Geoff.